It will never be crowded on the upper Black Fork. In more than three decades of canoeing the Mohican River, I’ve met only a few paddlers hard-core enough to venture up there. None ever made a habit of it. Most of the Black Fork’s 58-plus miles are upstream of Charles Mill Lake. Black Fork originates west of Mansfield, within a mile or so either way of the origins of Clear Fork and Rocky Fork. It flows north through Shelby, turns east then wends its way south to Mifflin. As mentioned in last week’s article, the 19-mile stretch from Charles Mill Dam to the Clear Fork confluence is conducive to day trips and overnight river excursions. However, Black Fork from its headwaters to Charles Mill Lake is in no danger of becoming a haven for paddlers. 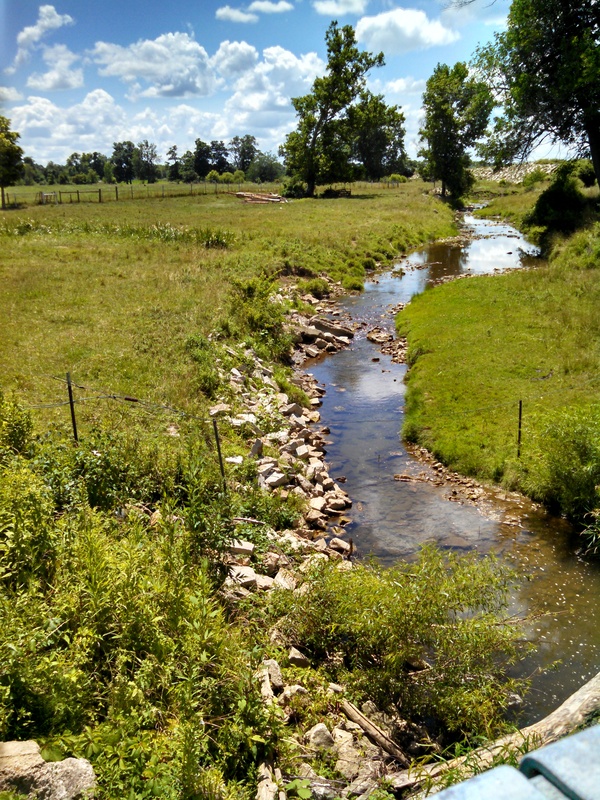 Black Fork starts out as an intermittent creek south of U.S. 30 and west of Mansfield. A mere trickle of a stream — except after heavy rains — it snakes through a relatively flat landscape dotted with hills. The folks in Shelby know all too well that this trickle can quickly swell into a raging torrent, turning their town into a muddy lake. If there’s such a thing as the “perfect flood” — the counterpart of the “perfect storm” — Shelby would be at the eye of it. That’s because the upper Black Fork undergoes a personality change when it hits town. As explained by Joe Gies, project coordinator and surface water guru for the City of Shelby, the Black Fork is fed by runoff from the hills and accelerated by its descent from higher ground. It then comes crashing down on Shelby, where the gradient drop tapers off dramatically. This elevation drop occurs over a nine-mile stretch of Black Fork. Completing the “perfect flood” scenario, two streams empty into river just upstream of Main Street. Downstream from Shelby, it’s a different story. From Plymouth Springmill Road northeast of town, the elevation drops only 50 feet over the next 28 miles before the river eventually flows, for want of a better word, into Charles Mill Lake. By the time the upper Black Fork becomes wide enough and deep enough to be paddled at normal levels, it’s choked with logjams and downed trees. In the summertime, add mosquitoes, deerflies and poison ivy into the equation and it’s not hard to see why this part of the stream doesn’t hold much appeal for paddlers. It’s a shame because much of the upper Black Fork flows through lush woodlands, farm fields and wetlands heavily populated with wildlife. I found this out 16 years ago when I paddled Black Fork from State Route 13 to the Charles Mill Lake Park campground. The trip was a little over 17 miles, a distance that can be covered in under six hours when paddled at a leisurely pace. With all the portaging and dragging over downed trees, it took 8 ½ hours — and a pint of blood extracted by the mosquitoes. Regardless, I enjoyed the scenery, the wildlife and a chance to spend a day on the river. Plus, exhausted from all that bushwhacking, I got a good night’s sleep. There is something to be said for paddling on Charles Mill Lake — and a short stretch of Black Fork upstream of the lake. There are plenty of coves to explore along the 34-mile shoreline, exploration that could yield a sighting of bald eagles, osprey and other wildlife. It’s not uncommon for exotic birds to stop off during migration, including sandhill cranes, egrets and American white pelicans. With a 10-horsepower limit for boat motors, Charles Mill Lake is relatively peaceful. The lake is home to the Mohican Sailing Club, which conducts sailboat races on Sundays throughout the summer. For years, boaters have camped on an informal basis on some of the lake’s islands. In the Charles Mill Lake Park master plan, MWCD has proposed the establishment of officially sanctioned campgrounds on some of the islands. Charles Mill Lake was formed in the 1930s with the construction of a flood control dam on Black Fork. This was part of a comprehensive program in response to chronic flooding, including the devastating 1913 flood, which killed 467 people statewide. Charles Mill Dam is one of 14 U.S. Army Corps of Engineers dams built along the Muskingum Watershed. 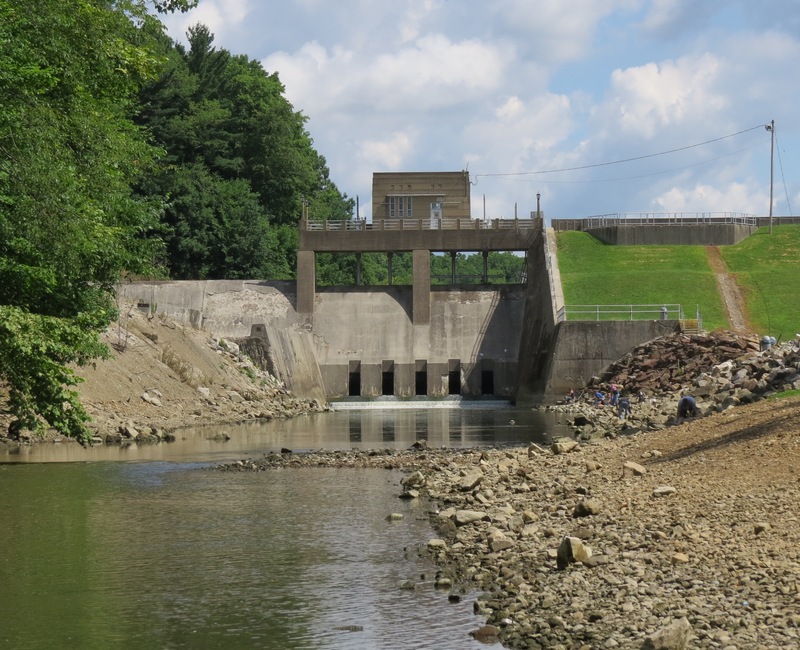 Two of those dams, Pleasant Hill and Mohicanville, are located on Clear Fork and Lake Fork of the Mohican River respectively. The water impounded by Charles Mill Dam turned a chain of three small lakes into one 1,350-acre lake. Historian Abraham J. Baughman wrote in 1909 that the Mifflin Lakes, originally named the Petersburg Lakes, were remarkably deep. Baughman claimed that the 60-acre lower lake — the biggest of the three — was believed to have been 50-100 feet deep. However, with the massive expansion of surface water forming Charles Mill Lake, the average depth was reduced to eight feet. 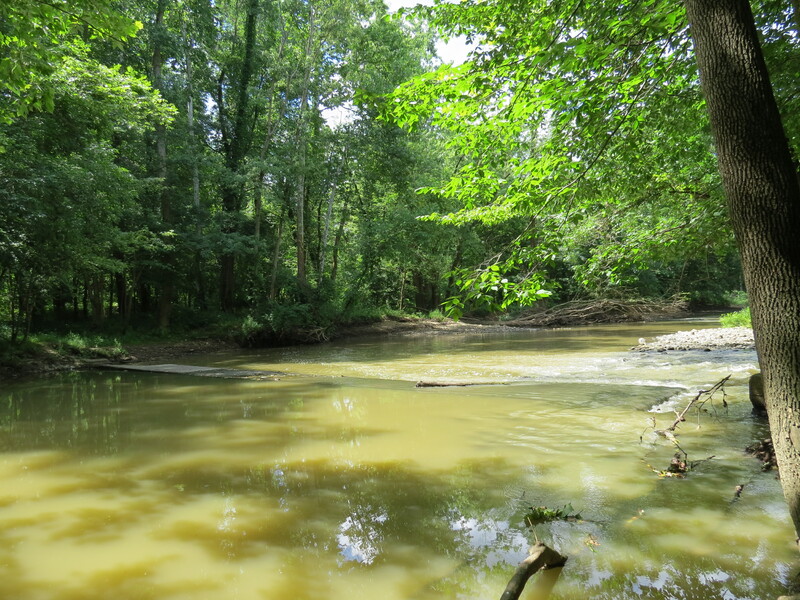 Over the years, topsoil that washed downstream from the upper Black Fork reduced the average depth to five feet. I recall that, about 15 years ago, a miscreant fleeing from park rangers and sheriff’s deputies jumped into the lake and attempted to swim to freedom. The officers didn’t pursue him. Instead, one of them yelled out the fugitive, “When you get tired of swimming, you can turn around and walk back.” He did. A word of caution to paddlers: Although the water might be only a few feet deep, stepping out of a canoe or kayak can be perilous. One morning, after the lake had been drawn down for the winter, I was walking on the lakebed about 50 feet from the shoreline and suddenly sank into the sediment up to my thighs. I flopped onto my back, pried my legs from the muck and crawled to shore. Although there are logjams, downed trees and a low-head dam to deal with, canoeists and kayakers occasionally paddle a few miles of Black Fork from U.S. 42 or one of the county or township roads upstream. The low-head dam is downstream of Crider Road. The Ashland County Park District has established five parks along the upper Black Fork. The latest addition, Carpenter Waterfowl Park, can be used as a put-in point. According to park district volunteer Tim Leslie, there are no immediate plans to establish a formal river access site, but it has been discussed. Carpenter Waterfowl Park is located on Pavonia East Road in Richland County, 6 ½ miles upstream of the lake. The park district also manages three parks along Jerome Fork and one further downstream on Lake Fork. Two of those parks, which will be discussed in a future article on Jerome Fork, provide access for paddlers. The upper Black Fork offers interesting paddling during extreme high water. With no current to worry about, paddlers can make their way far upstream, paddling through forests and over roadways. When the river reaches this level, logjams are no longer an issue because they’re totally submerged. Ten years ago, I had planned to do some canoe camping on the Mohican River. There had been a lot of rain and conditions on the river were far too dangerous. I thought about canceling my plans but decided to explore the upper Black Fork instead. Putting in at the campground, I headed upstream. To pass under the State Route 430 bridge, I lay down in my canoe and propelled the boat by pushing off on the beams beneath the deck. I spent three glorious days, exploring the flooded woodlands and camping on hilltops that had become islands. I made it to the other side of State Route 545 before the water level had receded to the point that the river was slipping back within its banks. After portaging a few logjams, I decided to call it a weekend and headed back downstream. 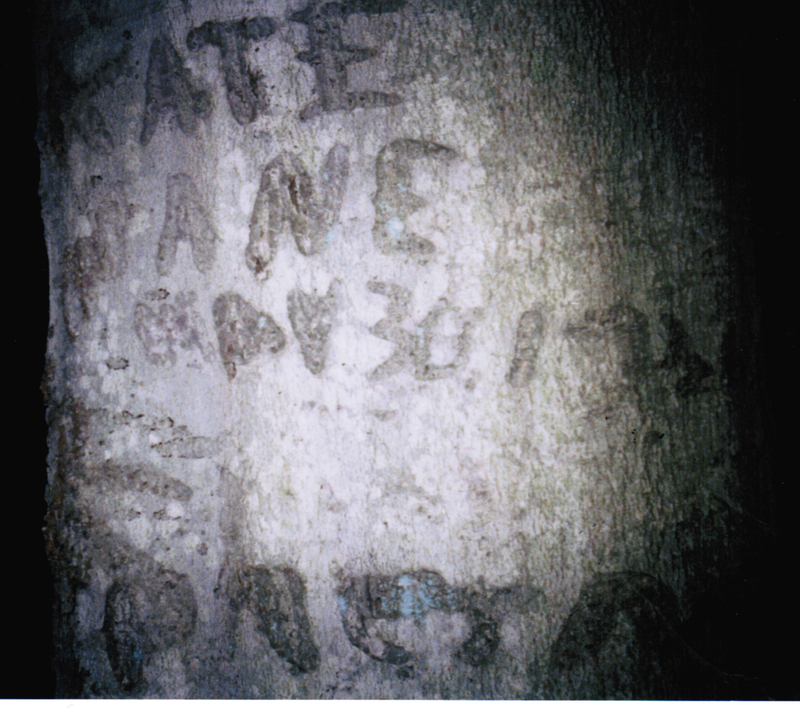 During the trip, I came across a beech tree with names and dates that had been carved into it on Memorial Day 1936. This would have been at a time when the dam was under construction and the lake had not filled in. That didn’t happen until 1938. The scarred bark had obliterated some of the writing over time, but I was able to make out the name Sherman Hiner. Afterward, I contacted the only Hiner I knew at the time, retired Ashland Symphony executive director Larry Hiner. He told me he wasn’t aware of having any connection with Sherman Hiner. I pressed on with my search, calling every Hiner in the Ashland and Mansfield phonebooks. Still no luck. One of the Hiners I spoke with, an elderly woman, seemed a bit confused about why I was calling. Something in her voice told me that, through the fog of time, she might have envisioned glimpses of her youthful companions, the trunk of a beech tree and a pocketknife glistening in the late spring sunlight. Low-head dam downstream of Crider Road. There is a passage on the right, but paddlers should beware of the rocks and gravel bar below it. Three forks of the Mohican River originate on high ground west of Mansfield. The tree with that May 30th date makes mt think of them on a memorial day canoe trip! Yes. Not sure when Memorial Day was officially established, but I believe it used to be on the 31st every year until they changed it to make three-day weekends. Just looked it up. Actually, it was May 30, so declared in 1868. The change to the last Monday in May didn’t happen until 1971.